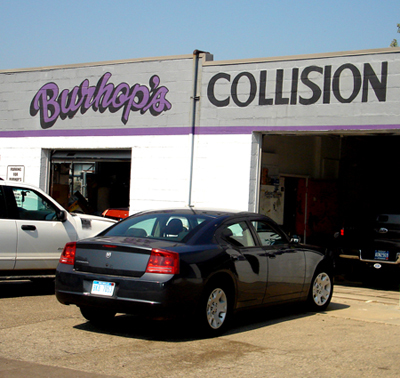 Burhop's Collision was established as a small town collision shop in 1946 by William Burhop. His goal was simple. Succeed by providing high quality collision repair with the same pride and integrity you would expect from a neighbor. In 1963 William hired his nephew Alan Arndt and by 1977 Alan assumed all responsibilities for the shop. In 1996 Alan hired his son Sam to assist him and insure that Burhop's would remain a family owned business for years to come. With continuous improvements, state of the art equipment, quality supplies and trained certified technicians, we have the ability to service your vehicle to your complete satisfaction and with the personal touch you deserve.